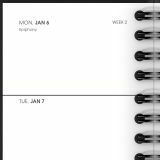 Planner covers 12 months January – December. Julian dates. 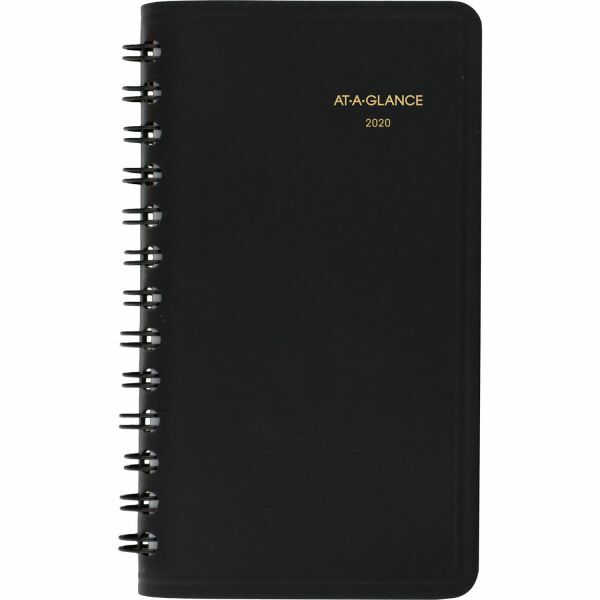 One week per two page spread with open scheduling for lists, appointments, meetings, events and more. Monday – Wednesday on the left page and Thursday – Sunday on the right page. Space for weekends is condensed. 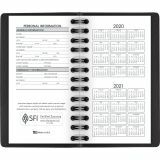 Page corners are perforated to help you turn to the current date. 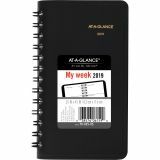 AT-A-GLANCE Weekly Planner, 2 1/2 x 4 1/2, Black, 2019 - Dated weekly appointment book features two-page-per-week spreads from January to December. Pages are printed in black ink. 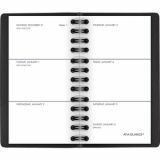 Each spread offers ample unruled writing spaces and perforated corners. 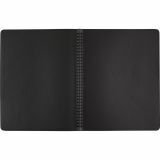 Wirebound appointment book has a simulated leather cover. Nonrefillable. High quality paper resists ink bleed* and contains 30% post-consumer waste recycled material. 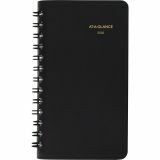 Planner is wirebound with a classic black cover. Pocket size with 2 1/2" x 4 1/2" pages.